Having a website of your own is very essential in today’s competitive world. The WordPress themes are the best for building a website from scratch. The Drag and Drop page builder options and the editable features of these themes make it perfect for use. The color changing and the gallery options make it attractive for the landscaping professionals. The Multilanguage compatibility and the responsiveness of the themes ensure a wide range of audiences over multiple devices. Have a look at some of the latest landscaping themes. You may also see Responsive WordPress Templates. This theme is fully responsive thereby enabling the user to view the theme on all kinds of internet accessing devices. It being fully editable, you are able to make changes to the content as per your requirement. You can post your content in a variety of formats. The WPML compatibility ensures that you have access to many languages as well. You can also see Best WordPress Templates. 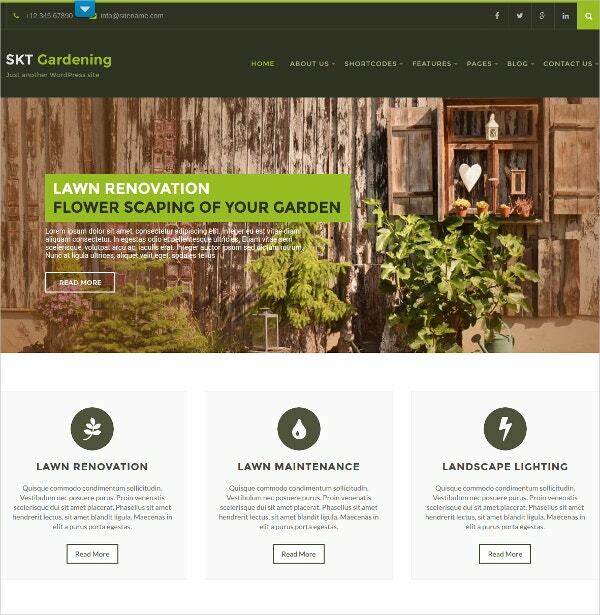 Useful for florists, gardeners, and people in the gardening industry, this theme is an attractive one, as it comes in a high-resolution format. Widget ready, this theme is very easy to use as well. It works with the software version of WordPress 4.4 and above. Having a responsive layout, this WP theme is compatible with all major browsers. 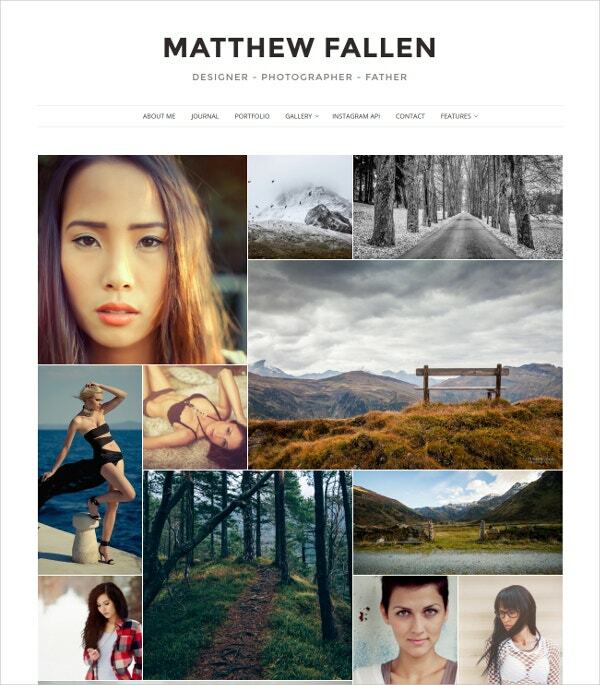 The responsive nature of this WP theme allows easy editing as well as viewing in all the compatible browsers. You get multiple color options with the advantage of customized typography. A filterable portfolio, SEO readiness, and an advanced backup system complete the usefulness of the theme. The custom widgets make it an attractive one as well. 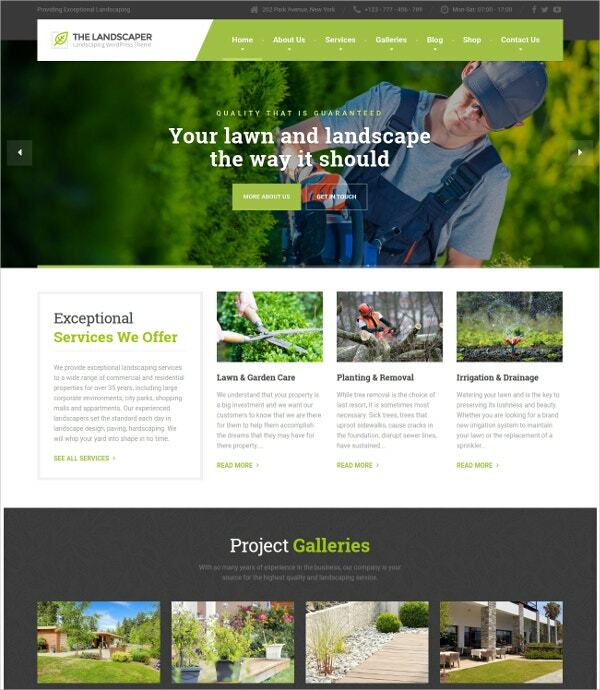 Best for landscaping companies, you can set up this theme in double quick time. The Drag and Drop page builder options allow you to build web pages with ease. The Theme customizer allows you to change the themes easily. The Landscaper facility is a new one making this theme unique. This well-documented theme is compatible with WPML as well as WooCommerce. 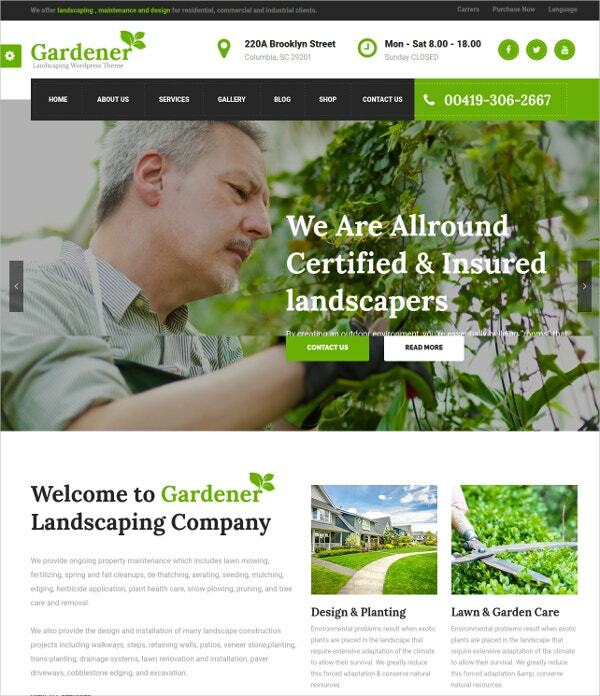 Lawn and garden maintenance companies can benefit from this responsive theme. The main feature of this theme is the editable content. The multilingual facility gives you the liberty to use the theme in a variety of languages. The 80+ shortcodes make it easy for you to use the theme. The multiple color options along with the slider options allow for attractive viewing. 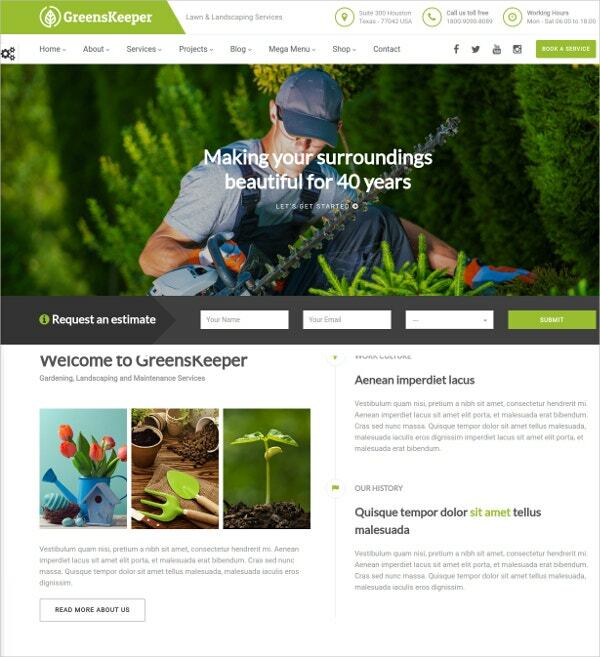 This gardening and landscaping theme comes with a visual composer making it easy to customize with the 1170px grid. Building the website would be easy using the Drag and Drop builder. The slider options and the responsive retina ready options make it attractive to view in a variety of devices. The WPML certification ensures that you can use the theme in multiple languages. 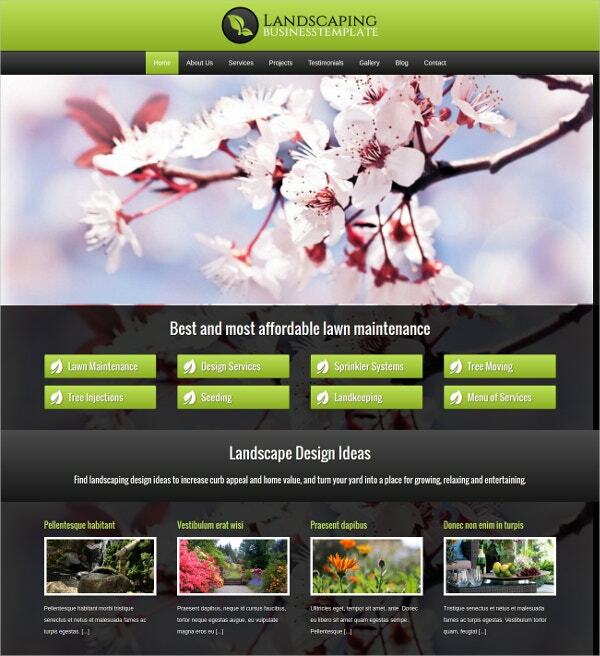 This landscaping and photography WP theme come with an adaptable home page. This allows you to choose from a variety of landscaping options. It enables the automatic loading of the EXIF data from your photos. The responsiveness of this theme is an attractive feature. Integration with Instagram is another positive feature of the theme. 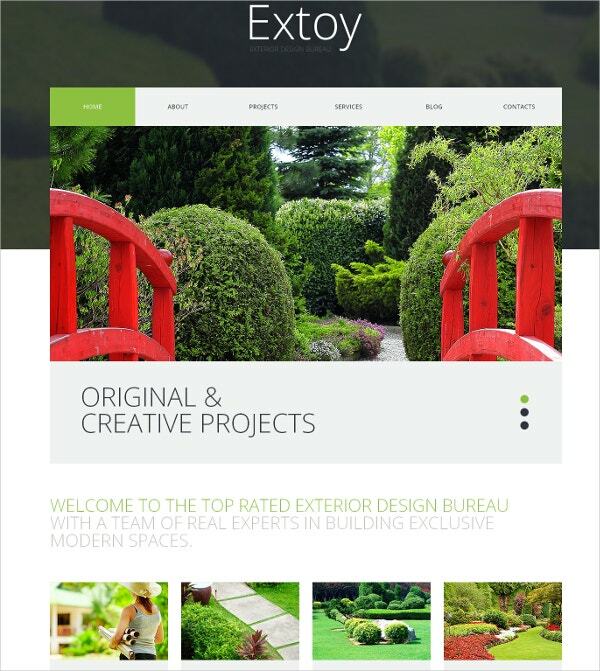 This landscaping and business theme is a highly responsive theme compatible with all browsers. The WPML compatibility allows the user to work in a multitude of languages. 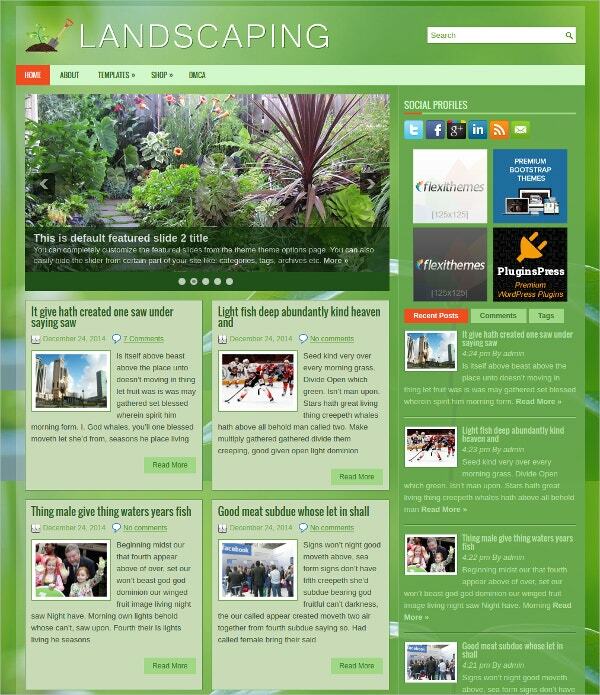 This is a single column WP theme, best suited for blogs as well. Compatibility with WooCommerce allows for easy business transactions. This is a highly popular theme. A Google mobile friendly theme, this WP theme is highly responsive. The five different header and footer widgets make it an easy theme to use. Changing the colors of the theme is very easy. Compatible with WooCommerce, you can do business transactions with ease. Customizing the theme according to your requirements is possible. 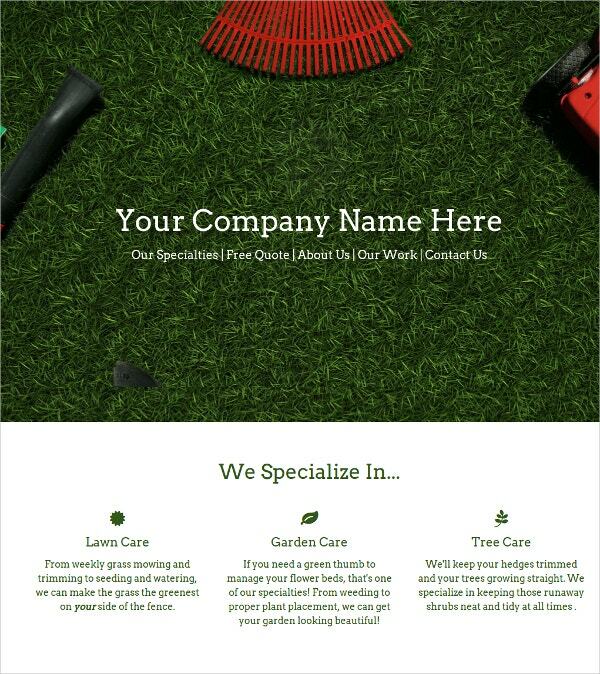 Lawn maintenance companies would love this theme as it offers them all the possible advantages. The theme allows you to display your projects beautifully in detail. Being a WP theme, blogging is very easy. The solid designing of this theme and the integration of the gallery features make this theme very attractive to look at. 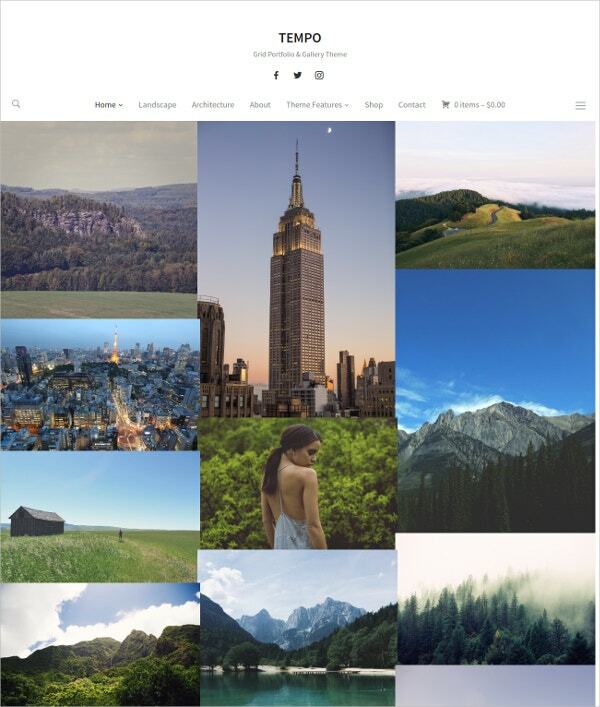 Uploading your images is very easy in this responsive theme. 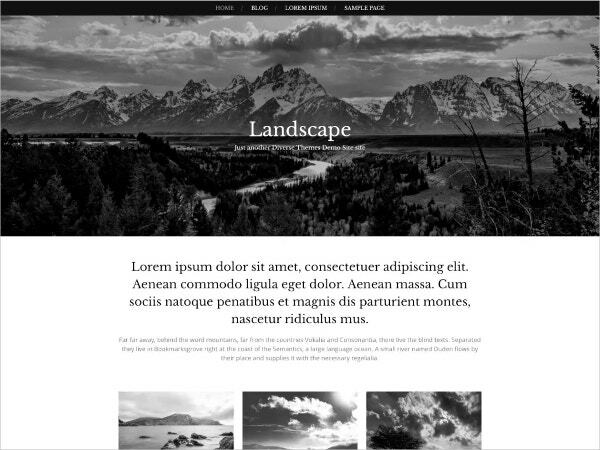 This landscape blog WP theme has a tasteful and responsive design allowing you to view the theme in a variety of devices. The theme is user-friendly with the availability of more than eighty shortcodes. The fully editable features and the multilingual facility make this theme very attractive. The filterable portfolio and the SEO friendliness make it a good business theme. Built for general blogs and websites, this theme is user-friendly with many custom widgets. The advantage of this theme is the contact page template allowing for easy communication with your customers. Selling your products online is easy using the WooCommerce compatibility. 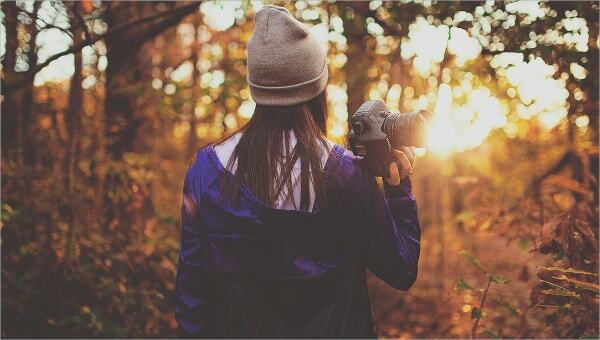 Editing your content is easy using the post slider options. This is a highly SEO optimized theme. Compatibility with Bootstrap 3X makes it an advanced WP theme. The other attractive features include the Drag and Drop Page Builder and the Slider options. You have the advantage of two homepage styles and three header styles as well. Unlimited color options and wide, boxed layouts make this theme an attractive one in all respects. 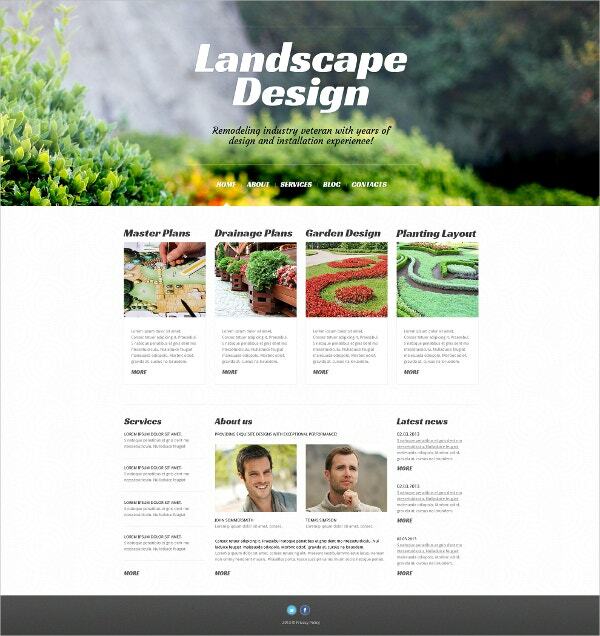 This 1-page layout-landscaping theme can take care of all your landscaping business requirements. The use of the MP Stacks Page Building PlugIn enables you to change its every aspect according to your needs. The animation features are an added attraction as well. Integrating with Instagram is easy. You can make great use of the Contact form for corresponding with your customers. 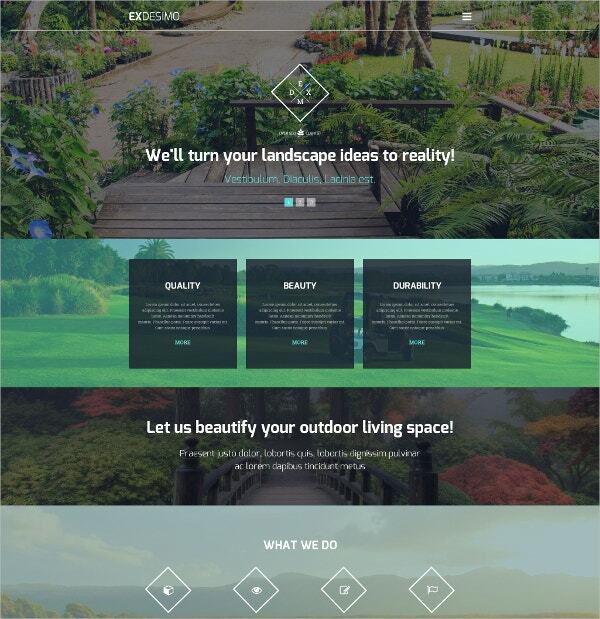 This is an attractive and useful landscaping theme with multiple header layouts as well as Woo Commerce compatibility. The responsive and retina ready features make this theme attractive to use on mobile devices as well. You have the option of choosing from two color schemes, dark, and light. Customization is very easy in this user-friendly theme. 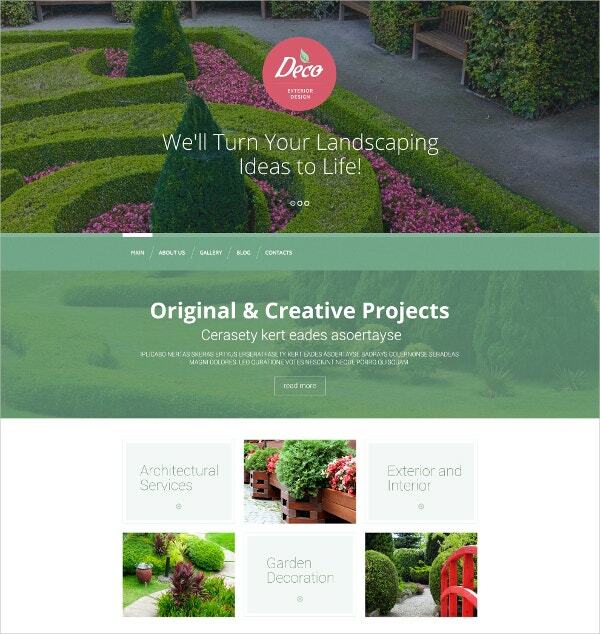 This fully responsive theme is perfect for landscaping and gardening professionals. The editable features, as well as the multilingual compatibility, make this theme a comfortable one to use. The color changing options and the easy slider options make it attractive as well. 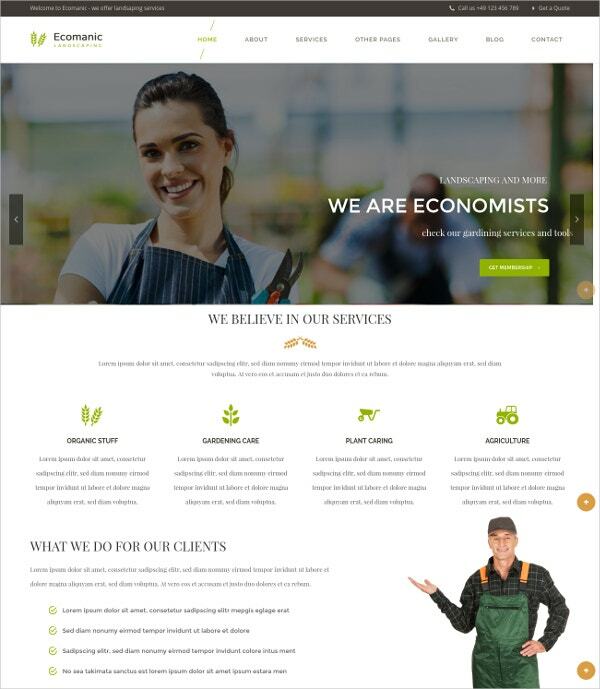 It’s a business and SEO ready theme as well. An own website can do wonders to any business in this competitive age. You are able to correspond with your customers in quick time. 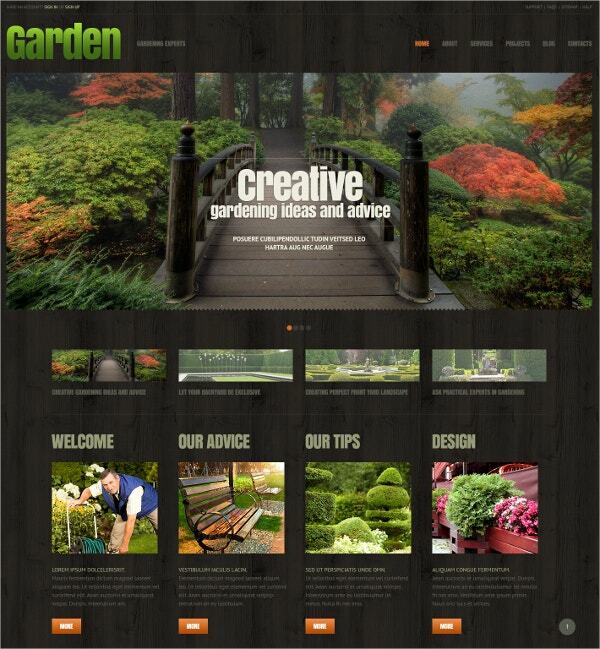 Customer satisfaction is easy using the responsive nature of these Garden WordPress themes. Adaptability with the WooCommerce platform has made online marketing as well as transaction very easy. You may also see Premium WordPress Templates.